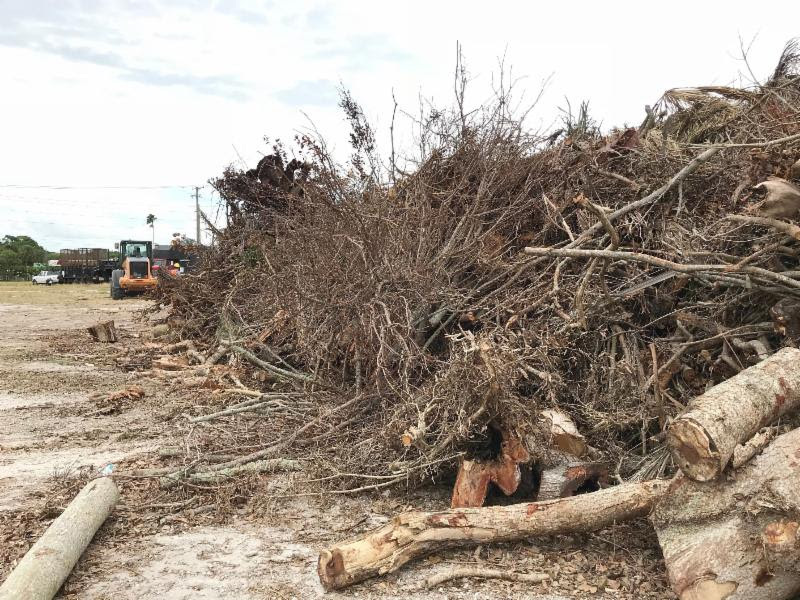 A month after Hurricane Irma swept through Florida, toppling trees and showering all sorts of vegetative matter across the landscape, Sarasota County staff estimated the first pass of storm debris collections would not be completed before mid-January 2018. Because subcontractors could earn far more in South Florida than they could under a county contract in place well before Irma arrived, they had barely paused in Sarasota County before heading on down the road, Richard Collins, the county’s emergency services director, explained during September briefings. Yet, county staff persisted in pursuing agreements with companies to speed up the collections. Those efforts paid off, as Collins reported on Dec. 15 that the county had completed its second and final pass. 298,918 cubic yards, as of “close of business” on Dec. 14. Collins’ initial estimate for the total was 250,000 cubic yards. On Nov. 27, Collins noted in his email, “the teams began the second pass in all zones. We are happy to announce that the second pass was completed in all zones on Wednesday, December 13, 2017. The teams have now transitioned to working on removal of tree stumps; there are an estimated 150 stumps that need to be removed across unincorporated County,” he added. As a result of the county’ progress, Collins continued,” Our Debris Management Sites (DMS) are being closed down …” The one on Dr. Martin Luther King Jr. Way in Sarasota was to close that day, he noted, with repairs to the site expected to be completed by Jan. 1, 2018. The Buchan Airport DMS in Englewood was to close on Dec. 18, he added, with repairs to that site also set for completion by Jan. 1, 2018. “Finally, Rothenbach Park DMS [at 8650 Bee Ridge Road in Sarasota] is closed and will be back open to the public after January 1st,” he wrote. “The landfill continues to remain open as a DMS site to support the final collection of debris,” Collins noted. Tipping fees were reinstated on Dec. 4 for all drop-offs, he wrote. Representatives of the Federal Emergency Management Agency (FEMA) are continuing to work with county staff on the reimbursement process, Collins pointed out. As of Dec. 15, he reported that the estimate he had given county administration before Thanksgiving continued to be staff’s projection for the total cost of response and recovery to Irma: $8.2 million, including $600,000 for the Sarasota County Sheriff’s Office. The reimbursement process will go on “throughout the winter and into the spring,” Collins added. 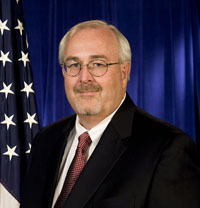 As for the after-action review that the County Commission approved in October, Collins wrote that on Nov 17, Former FEMA Administrator Craig Fugate facilitated a session “with all of the primary stakeholders in the county.” Since then, Collins continued, staff has met in smaller stakeholder meetings with representatives of the municipalities, the Sarasota County School District, the Sheriff’s Office, nonprofit organizations and businesses and industries; the county’s Emergency Operations Center teams; all shelter teams, including those who worked in special needs facilities; pet shelter volunteers; and directors of county departments. “Additional meetings are planned in January and February in advance of the final after-action report release,” he pointed out. The Charles & Margery Barancik Foundation and Gulf Coast Community Foundation are covering the expense of Fugate’s facilitation of the review, which is designed to produce a formal report that will cover the county’s actions related to Irma and suggest any modifications in procedures. County Commissioners Nancy Detert and Charles Hines, especially, have asked that the report include recommendations for addressing shelter needs for Venice residents, as Venice has no facilities built to withstand a storm with the strength Irma was predicted to have when she made landfall in Florida. The National Weather Service had advised emergency management leaders to prepare for a Category 4 event.